When I started planning this trip, I really wanted to find some unique hotels to stay at. 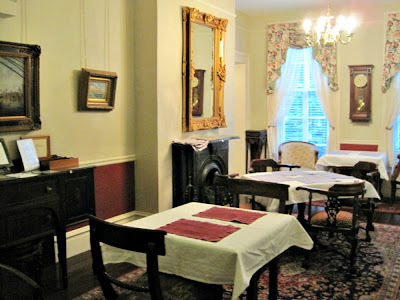 Since we would be up and moving very quickly from place to place, we could afford to stay in a few hotels that were really interesting since we would only be there for a night or two. 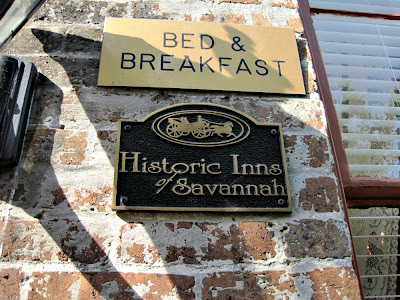 For Savannah, I really wanted to stay at a bed and breakfast. It's something I've never done before but have always wanted to do, and I felt like Savannah would be the perfect place to find a good one. After reading some reviews on TripAdvisor, I settled on The Bed and Breakfast Inn on Gordon St. 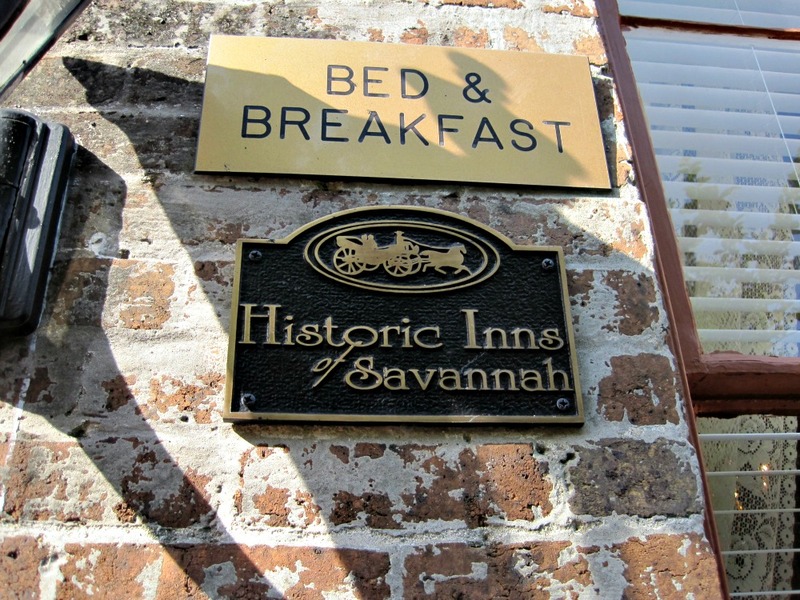 The inn is made up of several row houses built around the year 1850. 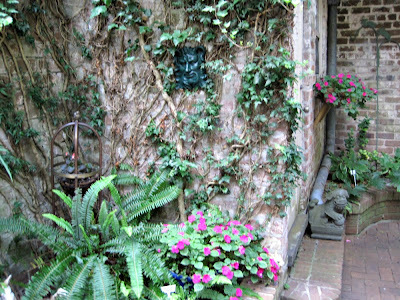 It's located in the Historic District on Gordon St right on Chatham Square and around the corner from Forsyth Park. The area is great and it's easy to walk to everything in a short amount of time, which was really important to me since we were only going to be there for a day. 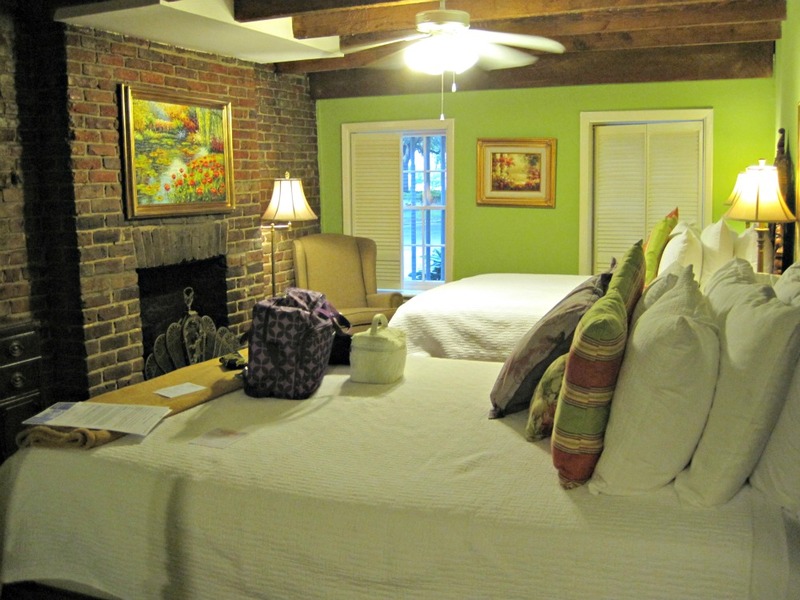 There were several really great options for Bed and Breakfasts in Savannah, but I chose this one for a few reasons besides the location and the good reviews. First, the size. It's a large BnB with a staff of several people. Having never stayed in one before, I wanted to make a slower transition and stay in a place that felt like a really small hotel, especially since I didn't quite know what to expect. Mainly because this was our room. 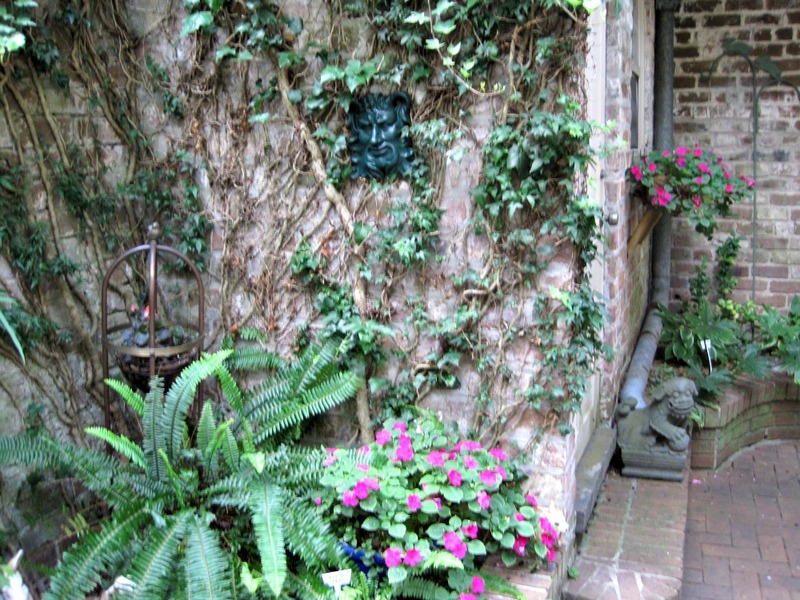 The is the Oglethorpe Room, located on the bottom level of one of the houses. 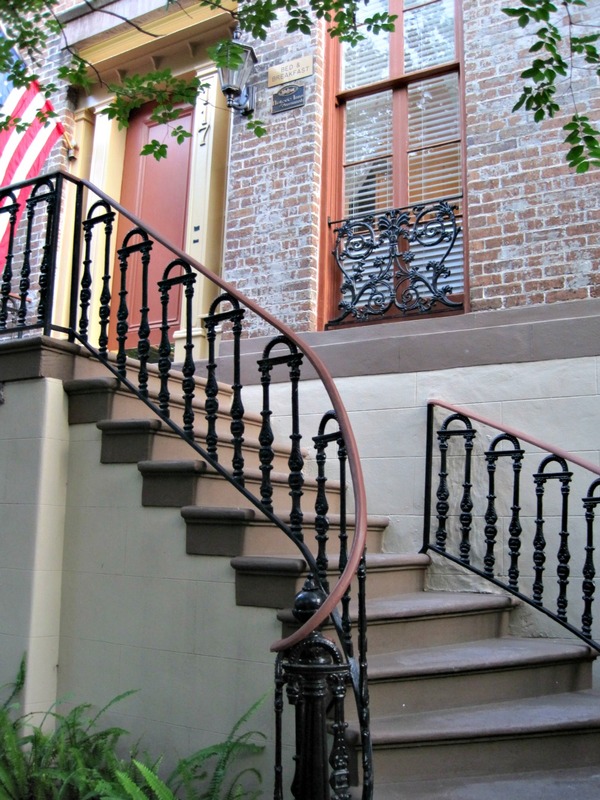 Which was awesome because we didn't have to lug anything up several flights of very skinny 19th century stairs. The room was amazing and very very comfortable. This is the dining room which was right above our room. It was around 8pm when we got there and we were just in time to find fresh chocolate chip cookies and milk on the bar. They also had a basket full of menus from various restaurants throughout the city and a sign up sheet so they could make reservations for the Trolley to pick people up at the hotel. Breakfast was super yummy (Blueberry Pancakes!) and there were even tables set up outside. They also have cats! 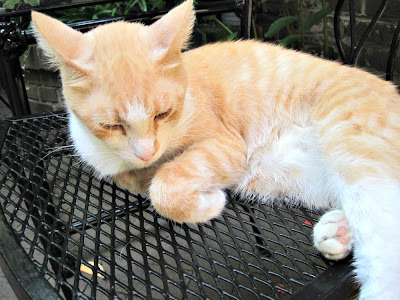 There are four friendly felines running around the courtyard, which is probably paradise for a cat. Plenty of rails to climb on, things to chase, and people to meet. I know I certainly enjoyed their company! I highly recommend them if you're ever visiting Savannah. I was pleasantly surprised by everything there and can't wait to visit again!